At over 2500km long and with so much to see it’s impossible to take in the whole Wild Atlantic Way in one visit. And even if you did somehow mange it you would be so busy rushing around that you would miss out on so many great sights and experiences. So rather than singling out specific locations we have compiled a list, in no particular order, of the essential experiences that every visitor to the Wild Atlantic Way should seek out. For more information about the Wild Atlantic Way, check out our guidebook Exploring Ireland’s Wild Atlantic Way. 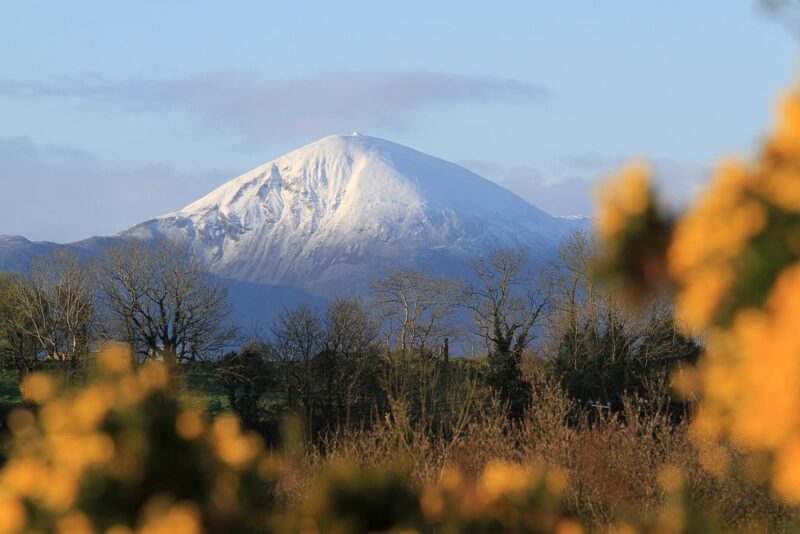 Ireland’s Holy Mountain Croagh Patrick, Mayo. Photo by Richard Creagh. A large portion of the Atlantic coast is mountainous and while modest by international standards, many of the mountains rise directly from sea-level, offering a tough challenge to hikers. Some of them have been sites of pilgrimage for millennia, and though the motives for going to these sacred summits may be different in this day and age, there are plenty of reasons to keep the tradition alive. The view from Culloo Rock on Valentia Island, Kerry. Photo by Richard Creagh. 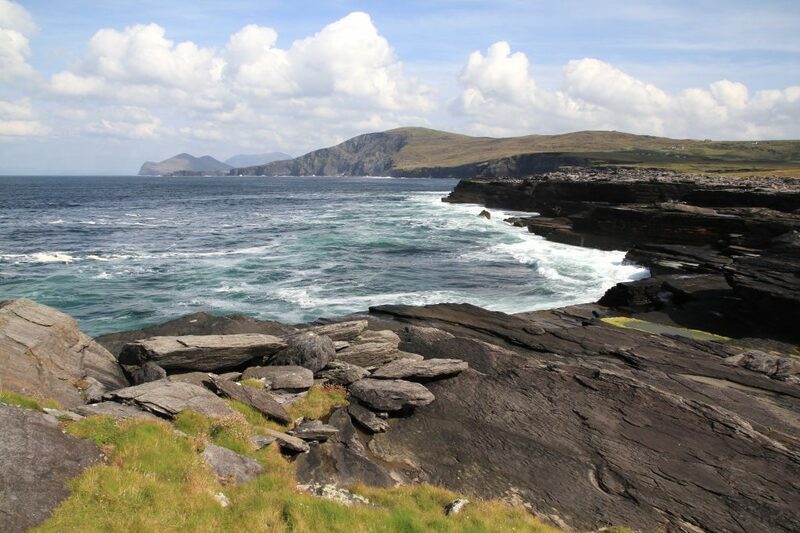 A visit to most of the Irish islands is like a trip back in time. That’s not to say that the islands are backward places – almost all enjoy the conveniences of the contemporary world, but they have retained a relaxed pace of living that most other places have exchanged for the rush of modernity. Many of the islands are strongholds of the Irish language, and visitors are just as likely to hear people speaking Gaeilge as they are English in places like Cape Clear, the Aran Islands and Tory Island. They generally have vibrant traditional music scenes, and folklore is better remembered in these places than most others. Most of the islands are dependent on tourism more than any other industry. So there are plenty of facilities on the most popular islands, and visitors can enjoy the feeling of being somewhere truly different without forgoing some creature comforts. 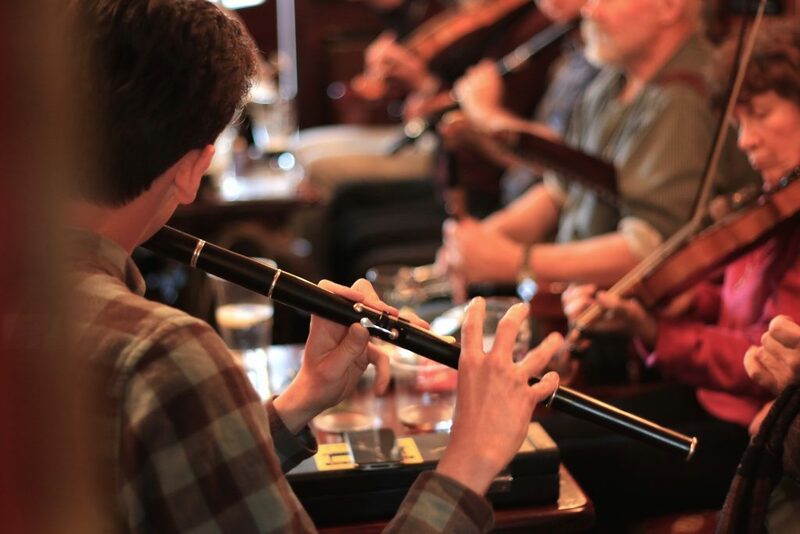 A session in a pub in Miltown Malbay, Clare, during Willie Clancy Week. Photo by Richard Creagh. Ireland is rightly famous for its pubs. Even in the smallest communities you can often find two or three different bars and they are the focal point of every town or village. It’s very possible that some visitors will spend every night in a pub, chatting to locals, listening to traditional Irish music, or just sitting beside the fire enjoying a meal or a nice pint of Guinness. Whether you want to experience the buzz of a crowded bar or enjoy a drink in a quiet corner you will have plenty of choice. After a day outdoors there is no better way to wind down in the evening, and no better place to meet people. In recent years the standard of food offered in pubs has improved significantly so they aren’t just for night time visits. Some places are better than others for music but it’s pretty easy to find live music in the summer time. Dunmore Head in Kerry, the most westerly point on the mainland. Photo by Richard Creagh. You will never be far from the coast in Ireland, and the variety of seaside landscapes is one of the country’s major attractions. Some places have huge cliffs and rocky headlands while other areas are fringed by vast sandy beaches. A walk along the coast is the best way to see these sights at close quarters, as well as a whole lot more. There are secret sheltered coves that are perfect for a swim. Marine wildlife could appear at any moment. There are sea caves, arches and all sorts of impressive natural architecture. And there is the sea itself, and all its moods. No doubt these places are great on sunny days but the coast is worth a visit at any time of year. You’ll have a renewed appreciation for the roof over your head after a walk in some wild, wet weather. And on a fine evening there is no better place to watch the sun go down than along the west coast of Ireland. Paddleboarding on Carrownisky Strand, Mayo. Photo by Richard Creagh. Ireland’s reputation as a destination for outdoor activities is growing fast. 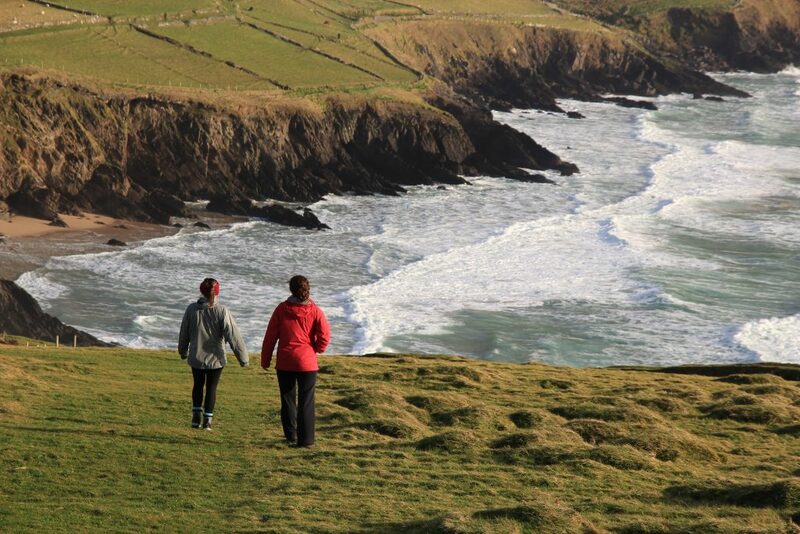 With a great diversity of terrain Ireland is the ideal place to try a new activity. 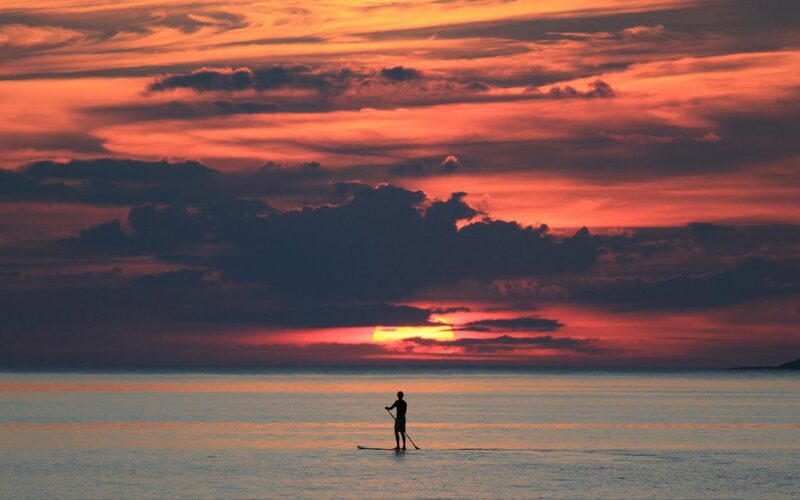 Watersports such as surfing, kayaking and paddleboarding offer a unique perspective on the coastline, while land-based activities such as mountain biking, rock climbing and caving allow you to visit places you might never get to see otherwise.